478 New Bern Station Court, Charlotte, NC 28209 (#3460185) :: Robert Greene Real Estate, Inc.
All aboard!!! 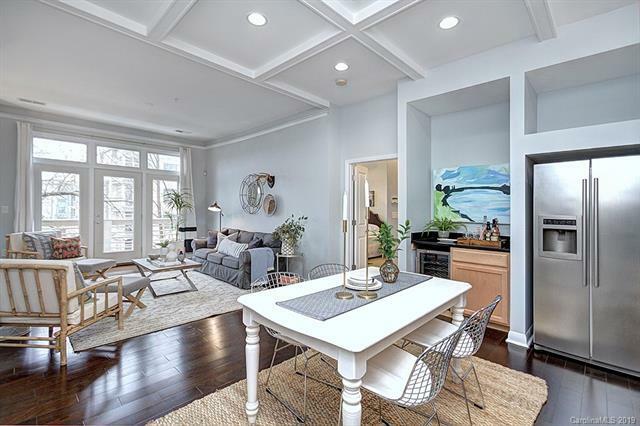 This updated condo at New Bern Station in super hot South End is beautiful and waiting for you to enjoy the ride! Take the Blue Line Uptown and everywhere in between, just in time for Spring in South End! Run, walk or bike the Greenway, a few steps from your front door! This location can not be beat! High ceilings, coffered in the kitchen! Open floor plan, granite kitchen counter tops! Master bedroom with walk in closet and updated master bath with Carrara marble counter top! Enjoy coffee and sunsets from your balcony! Great split floor plan with secondary bedroom close to the updated bath, also updated with Carrara marble! Walk to Harris Teeter, Suffolk Punch, Holler & Dash, Mac's, Triple C! Come see!